You're Hired!!! 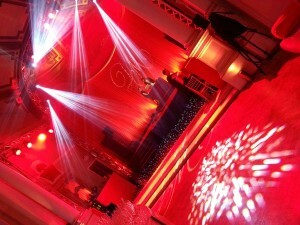 A Pre-wedding party at One Marylebone. (4/7/13). One Marylebone is an elegant and unique venue situated moments from Regents park, built on its own ‘island’ in 1826 and refurbished to the original designs of Sir John Soane. This is where the final of Lord Sugar’s BBC series ‘The Apprentice’ took place, however today it was the venue for a pre-wedding party planned by Orchid events, who did an amazing transformation of the main room into an exciting party room! We escorted the couple from the main entrance, up to the stage where they were cheered by the guests as they took the spotlight for what was going to a fantastic party. The guests were in for another treat as there was further entertainment by professional dancers ‘Absolute Bollywood’. The dancing carried on all the way into the early hours on this warm summers night: A great event at a prestigious venue!